Petra and I love going to auctions. 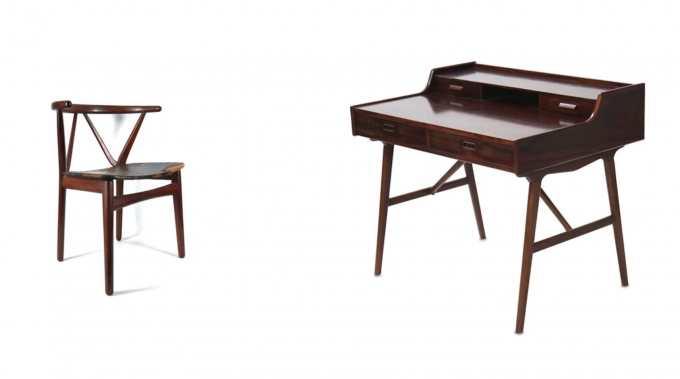 We have a couple of pieces in the 20th Century Decorative Arts & Design sale at Chiswick Auctions taking place on Tuesday 9th October at 11am so we are doubly excited to see how they do. To add to our Scandinavian offering, which we will bring to light at the end, and some private pieces from the home of Kandya designer Frank Guille, there are some wonderful pieces of British Design set to make good hammer prices in the Chiswick sale, including some work by ceramicist Lucie Rie, a studio potter who, having established a name for herself in Vienna, fled the burgeoning Nazi influence present in her home city for London. If you have not already heard of the potters’ potter, she arrived here in 1938 and established her studio in Albion Mews, Paddington. 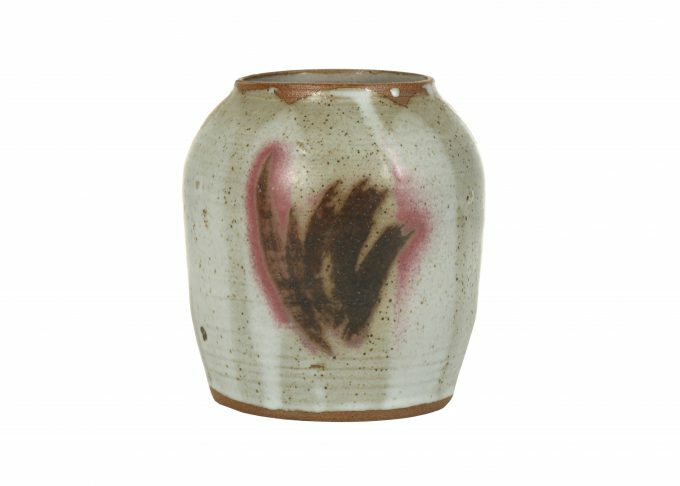 The collecting trend for British studio pottery was already strong with Bernard Leach founding the movement in St Ives in the 1920’s and once Lucie Rie started making her mark she became a collector’s dream with fragile-looking pieces sculpted using sturdy stoneware, melting and rainbow colours such as peacock blue, magenta and gold. Prices for Rie’s work have been steadily increasing since her death and the market remains buoyant. A top tip for buying her work at auction is to pay close attention to the condition of the particular piece. A porcelain bowl (c. 1985) by the potter realised an impressive £36,600 (including premium) at Chiswick Auctions in May last year, which attests to the popularity of Rie’s pieces amongst collectors across the globe. 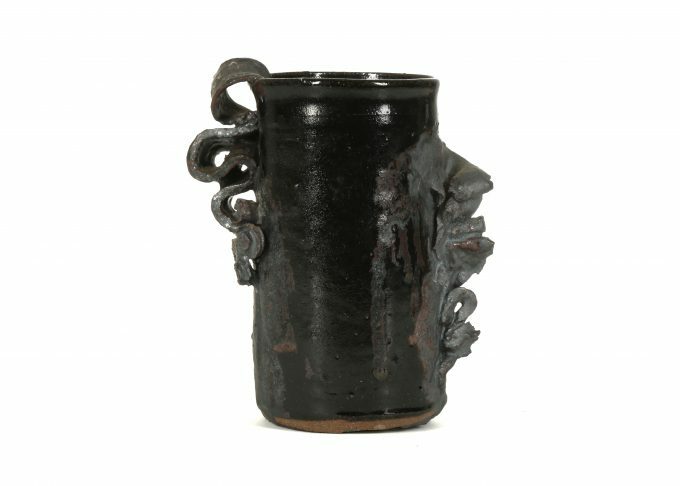 This auction you will be able to snap up a fine twenty cm high tapering vase (above), circa 1970, with textured volcanic glaze, stamped underneath with the artist’s seal. 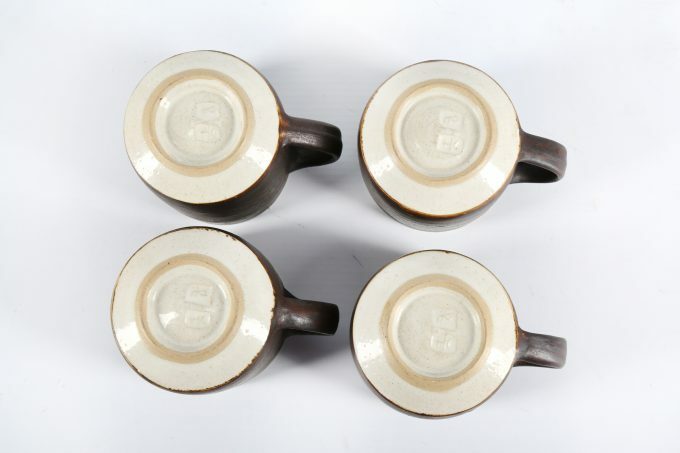 Also offered is a coffee pot and milk jug, circa 1960s, with pulled handle design and four coffee cups and saucers with manganese glaze to the exterior and off white glaze interior which Rie designed with Hans Coper who was another refugee Nazi-exile who came to London to work with Lucie Rie and together they collaborated on various items. The cups are stamped with both their seals as you will see below. 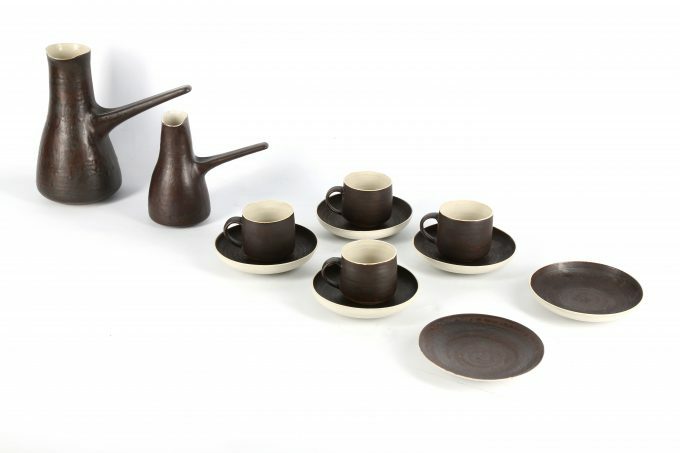 Ancient influences are accompanied by an interest in varying aspects seen in the work of more recent and acclaimed potters; the formal strength of Hans Coper, Lucie Rie’s use of light and colour and Ian Godfrey’s experimentation with form and texture. Sometimes altered by cutting and rejoining to create ridges and grooves between curving surfaces, a pebble is then used to burnish the work. 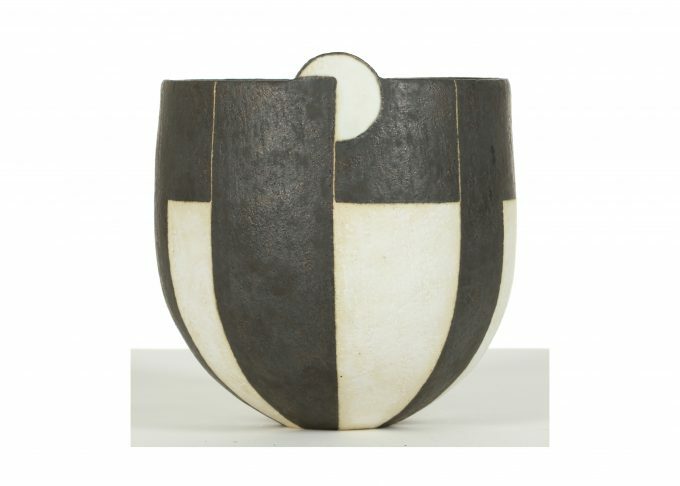 While not midcentury it is worth also looking at a stunningly graphic black and white glaze pot by John Ward. Ward’s pots are twice-fired in a kiln and he uses only matt glazes. Prices for his work have been climbing sharply and continue to go over estimate and break new records. 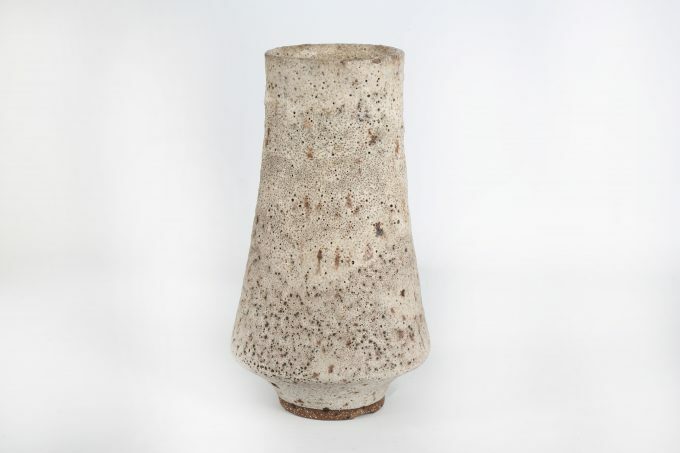 One example (seen below) was purchased at The Contemporary Ceramics Centre, London, in 2014. 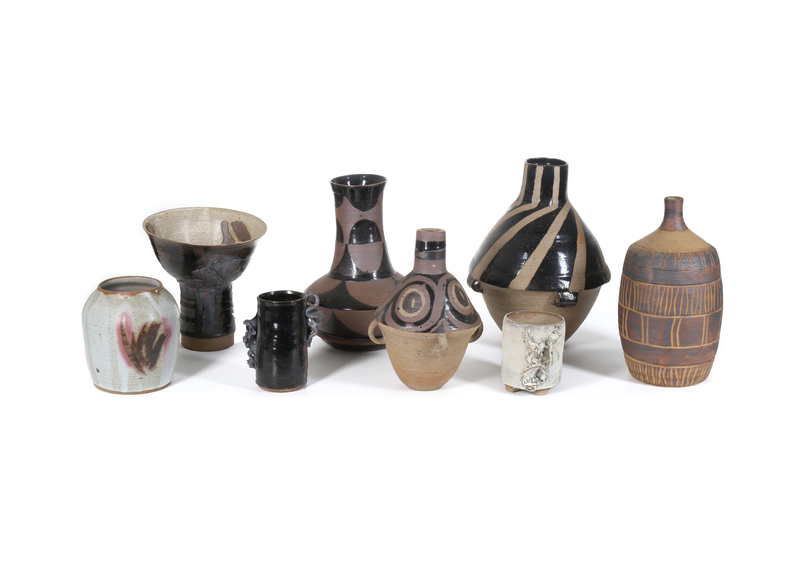 Unlike the works of Hans Coper and Lucie Rie that fetch stratospheric prices at auction, the British ceramic artist is increasingly popular with collectors on the look out for a wave of new options available in this market. 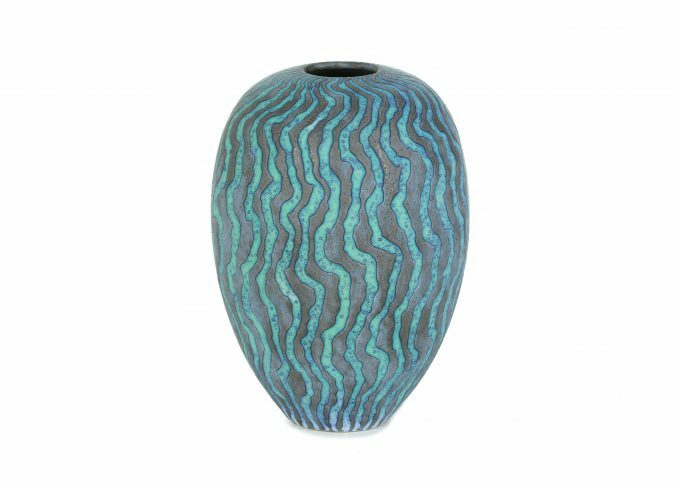 Widely regarded as one of Britain’s greatest potters, Ward is attracting particular attention in the field for his hand-crafted, sculptural vases. Influenced by the clean and pure forms of ancient Chinese and Egyptian pre-glaze pottery, early Cypriot pottery and early Persian bowls, Ward uses flattened coils of clay and a pinched base to produce the hollow forms that characterise his sculptural vases. Purchased by the same collector from The Contemporary Ceramics Centre in 2016, Peter Beard (seen above) uses wax resist technique to create matt and semi-matt textured glazes in vibrant turquoise. Beard won both the Inax Design prize and Vallauris Biennale and is also a highly collectable ceramic artist. 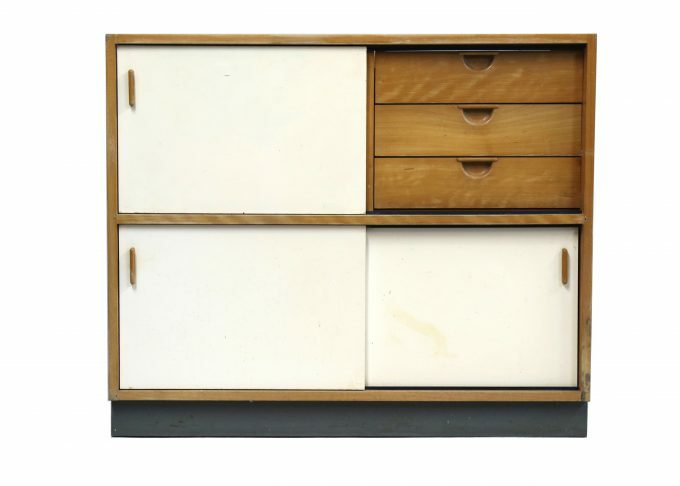 The Kandya Trimma cabinets (above) at this 20th Century Decorative Arts & Design sale designed by Frank Guille, have a lovely story to tell as they were part of the furnishings in his own home as was the bent plywood chair with cut away back, white painted top and steel base, below which is most likely to be a Trimma prototype that was never put into production. Guille also had his own kilns and produced some studio pottery but did not sell it commercially and produced it for his own pleasure in very limited numbers. You will have the rare chance of being able to buy the above and more at this sale. 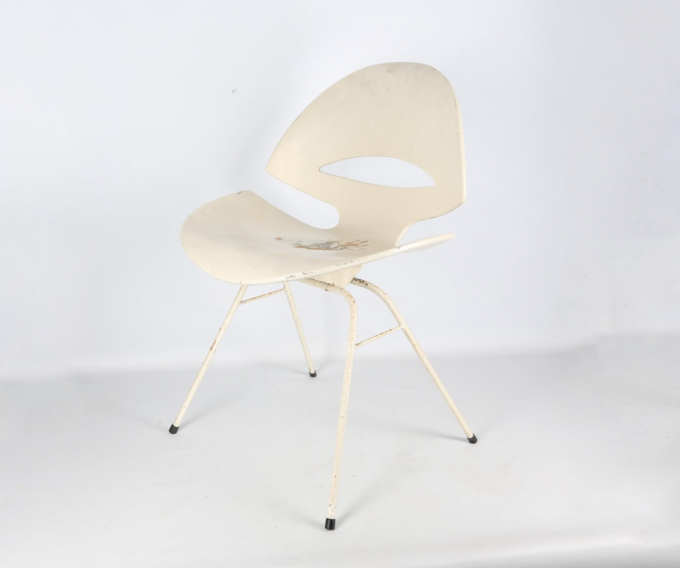 Head directly to the sale for even more eye-popping ceramic offerings from the midcentury era at CHISWICK AUCTIONS NOW to check out the latest pieces for sale and book in to bid. 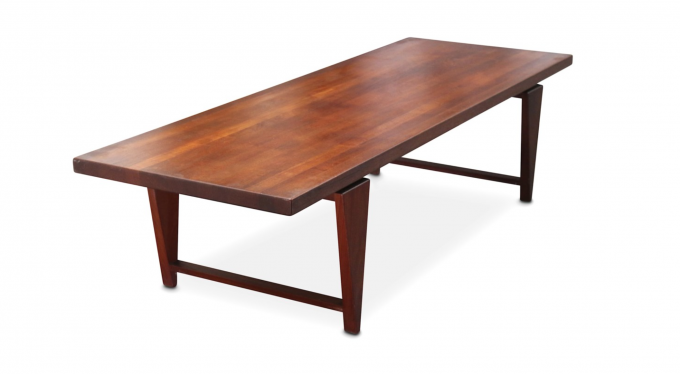 In addition a Dieter Rams Braun music centre, furniture by Charlotte Perriand (above) Norman Foster – the Nomos table, some stunning Scandinavian desk and chair combos, an Archie shine desk and sideboard as well as Modern Shows’ own highly collectable Illum Wikkelso coffee table and Hans Wegner side table from the Danish masters. 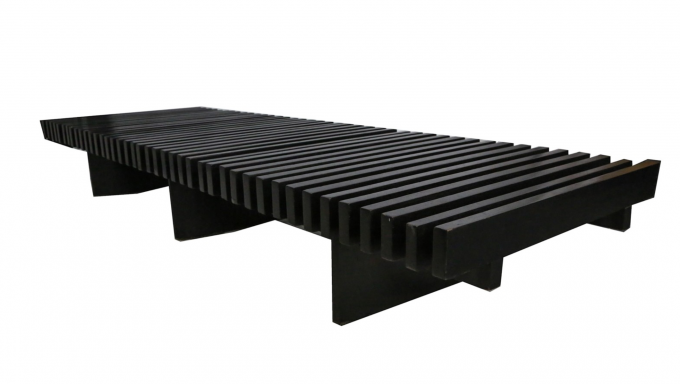 Head directly to the sale here at CHISWICK AUCTIONS NOW to bid for the Illum Wikkelso coffee table (below) and all the latest offerings. 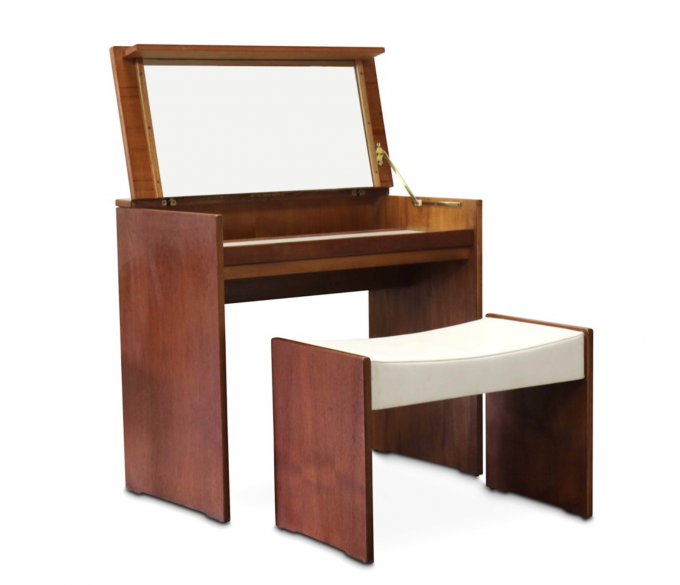 Also a collection of sixties lights and this John and Sylvia Reid Stag children’s dressing table (below) will feature in the sale. Head directly to the sale here at CHISWICK AUCTIONS NOW to check out the latest offerings and book in to bid.